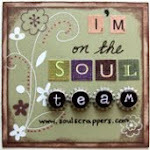 Here is a card made by my fellow stamper, Trista McKenzie. I love the colours and the layout. Such a beautiful card. Trista also made my very cool new banner on my blog. I had tried to change it before but with no success. Along comes Trista and she does it no problem. What a great girl! !